A short article originally written in 1930 for the French press by the Chinese anarchist Li Pei-Kan (more commonly known as Ba Jin in the English-speaking countries) passionately recounting the right wing terrorist campaign against anarchists, communists, socialists and Koreans in Japan in the wake of the great earthquake of 1923 and the subsequent response of some anarchists who sought to avenge the murders of their comrades. On February 20, 1928, the Japanese comrade Wada Kyutaro died in the Akita prison, in the coldest part of northern Japan. The news of his death was a hard blow for me. For a long time now I have been writing articles for the Chinese press about the events that led to Wada’s conviction and the martyrdom of Furuta Daijiro. The name of Wada is new to the European world; but in the hearts of the Japanese workers his memory will long endure, and so will the memories of Furuta and so many other martyrs, concerning whom we shall say that, by virtue of the memories of their lives that they leave behind them, they are not dead. Their lives, their struggles, their martyrdoms, represent a tragedy that only the pen of a Shakespeare could depict with the dignity it deserves. I will undertake a brief summary of this affair, which I shall write with blood and tears, so that the European world will know that in the countries of the mysterious Orient, there were and still are men who have died and are dying for the triumph of Anarchy. On September 1, 1923, Japan was struck by a series of terrible earthquakes. In Tokyo, fires broke out simultaneously all over the city. The shocking misfortune that had so grievously traumatized the country inspired the government with the idea of using it as a pretext to crush the subversive movements, from the Korean opposition to the anarchists. The day after the horrible catastrophe, rumors were spread among the surviving refugees of the fear-stricken bourgeoisie, rumors claiming that “the socialists and the Koreans were throwing bombs”, “burning houses”, “poisoning wells and provisions”. These rumors fell on fertile ground: the alarmed bourgeoisie took defensive measures in their neighborhoods; paramilitary organizations such as the “New Society” and the “Association of Former Soldiers” were rapidly mobilized. All the members of these white guard detachments were armed with long swords, pistols and bamboo lances. Their targets were the Koreans, the socialists and the libertarians. The horde’s first victory was the destruction of the homes of many revolutionaries, and the arrest, and subsequent torture, of a large number of comrades. On September 3, comrade Hirasana, 37 years old, the secretary of the workers association, “Yun Rodo Kumiai”, was arrested, along with ten other comrades. They were secretly taken to the Kameido police station, where the police killed them with bayonets. Their bodies were then burned, together with those of several dozen murdered Koreans. Our comrades died shouting, “Long Live the Proletariat!” In every police station, comrades were being injured and mistreated. The police frequently used the bodies of their victims as projectiles to throw at the other prisoners, or beat them until they lost consciousness. Some were treated to several rounds of this torture. Thus, [R. Takeshi?] was submerged in a cesspool with his hands tied behind his back before he was imprisoned. On September 16, comrade Osugi Sakae, 32 years old, editor of the anarchist monthly Rodo Undo, his female companion Ito Noe, 29 years old, a well known figure in the Japanese anarchist movement, and Tachibana Munekazu, a seven year old boy, Osugi’s nephew, were taken in a car to the headquarters of the police special squads, and there they were strangled by the police captain Amakasu Masahiko, his subordinate Mori and two corporals: Kamoshida and Houda. The corpses were stripped, and then thrown into a well, while the cords with which the victims were strangled were burned, to destroy all the evidence. On September 20, however, the crime was discovered, and Amakasu was eventually arrested; the other policemen were released without being charged even though they were obviously considered to be the perpetrators of the massacre, but the government never told the public why they were released. Naturally, the murder of Osugi aroused the indignation of the people against the government; but this indignation was unable to put a stop to the general massacre of Koreans and socialists. A large number of our comrades perished along with Osugi and several thousand innocent Koreans; not even the Chinese were exempt. Amakasu arrogantly confessed to having committed the murders because of his sincere patriotism, spurred on by his own personal convictions, something that no one believed. The entire trial was a farce. Amakasu was sentenced to ten years in prison, but on January 27 of the following year his sentence was reduced to three years. He was secretly released before he had served one year of his sentence. One more example of the sadly famous bourgeois justice. But this would not be tolerated in silence! At that time avengers appeared: friends who were prepared to seek blood vengeance for their fallen comrade, to spurn “justice”, and to incite the people: the anarchists. Among the friends and comrades of Osugi were Wada, Furuta, Muraki, Kurachi and Aratani, who resolved to avenge the murder of Osugi by killing general Fukuda, who was the commander of the troops that had attacked the socialist groups, and who, by the way, also commanded the troops that carried out the most recent massacre of Chinese at Jinan. They planned the attack in a house in a small Tokyo suburb, and set the date of the attack for September 16, the first anniversary of the murder of Osugi and his family. Kurachi obtained the dynamite, and Aratani manufactured the bomb. I shall now briefly describe the lives of these five comrades: Furuta was a fearless militant of the anarchist ideal and was only 25 years old. For several years, he had been the editor of the anarchist journal, The Peasant. Together with other comrades he founded, in the great industrial city of Osaka, the “Guillotine” group. A year before his arrest he had planned, with comrade Nakahama and other members of the group, to destroy a bank in Osaka. The banker was killed in the attack. Nakahama and Uchida, the brothers Kamisaki and several other people were arrested and held in the Osaka prison. Furuta came from a wealthy family. Wada, however, grew up in poverty. At a very early age he had to work to survive. He was a miner and sometimes worked on the railroads. Self-taught, he was already a socialist when he was 16 years old. Shortly afterwards he discovered his battlefield in anarchism. He was an outstanding example of the militant, inspired by an unmatched enthusiasm. He worked alongside Osugi and the others in the great task of the liberation of the exploited. He was devoted to reading and wrote many poems. Muraki was a veteran anarchist and Osugi’s closest friend. He was friendly, affable, and courteous. He had long suffered from a lung disorder. Kurachi was, like Wada, the son of a poor family. A weaver by trade, he founded the trade union in the factory where he worked. Aratani was also born into poverty. He was a metal worker since he was a child and never went to school. His life experiences led him to anarchism, for he saw that it was the only way to abolish the injustice and iniquity of contemporary society, of which he was one victim among so many others. The day of judgment finally arrived; it was not September 16 however, but September 1, 1924. It was on September 1st that a ceremony was to be held in a suburb of Tokyo, to commemorate the great earthquake, and general Fukuda was scheduled to be the first speaker to address the crowd. At 6 p.m. the general’s car arrived at the site of the ceremony, and Fukuda got out of the car and proceeded on foot towards the meeting hall. A man followed him and fired one shot at him from a revolver, slightly wounding him. He tried to fire again but did not have enough time, as he was seized by Fukuda’s bodyguards. The man they seized was Wada. He was taken to the police station where he declared that he had acted on his own initiative, because he was convinced that Amakasu murdered Osugi under orders from Fukuda, so he decided to kill Fukuda to avenge his comrade. Following his arrest the police raided the homes of many comrades and subjected them to long interrogations. Five days later Fukuda’s house was destroyed by a bomb, but Fukuda was not home. Furuta and his comrades set off other bombs, but unfortunately without any more success. On the night of September 13, the police arrested Furuta and Muraki at their homes. Their houses had been surrounded by strong police contingents. At Furuta’s house, a police officer knocked on the door announcing that he had a telegram to deliver. Furuta opened the door, and the police grabbed him and raided his house. Muraki, for his part, attempted to set his house on fire, but he did not have enough time to do so. Kurachi and Aratani had gone with bombs to liberate their comrade Tetsu and others from prison. The police, however, having heard rumors of the plot, were able to arrest them before they could execute their plans. The trial took only a few days, from July 21 to 23, and August 15. Muraki was already dead. The immediate cause of his death was tuberculosis, but the dreadful conditions of the prison had accelerated the progress of the disease. He was a man who had fought with determination for anarchy despite his serious illness. On the third day of the trial the public prosecutor called for the death penalty for Furuta, Wada and Kurachi, and ten years imprisonment for Aratani. At one point during the trial Furuta shouted, “This trial is a farce!” And he was right. I was also convinced that it was a farce. The worst thing about it is that it is always only those who are at the receiving end of it who understand this. Like the Chicago martyrs, our Asian comrades were declared guilty after the ridiculous farce of a couple of days in court. The current government of Japan is omnipotent: it murders our militants one after another. Justice? A joke. Humanitarianism? It does not exist. The law takes its course, and the law is manipulated by the rulers: it is the instrument they use to murder the soldiers of freedom. The defendants were sentenced on September 10: Furuta, who manufactured the bombs and killed a banker in Osaka, was condemned to death. Wada, who attempted to assassinate general Fukuda, was sentenced to life in prison. Kurachi, who had supplied dynamite from the mines, and delivered it to Furuta, was sentenced to 12 years in prison. Aratani, who had helped deliver the explosives, was sentenced to five years in prison. On the day of sentencing, on the pretext that the presiding judge had received anonymous threats, various comrades were arrested. On September 20, Wada was transferred to the prison at Akita, to serve his life sentence. The comrades Furukana and Ikeda were sentenced to six months in jail for having made threats against the presiding judge at the trial and against general Fukuda. Furuta was tranquil right until the end. He died on October 15 on the scaffold at Ichigaya. That evening, his brother and some of his comrades came to recover Furuta’s body. One of them wrote: “It was dark when we entered the prison compound. The guard went ahead of us with a lantern and we followed him for a long way along the old wall. In the visitors room we saw our Furuta, smiling, but his body was cold. We could see the mark of the rope on his neck. A little later we brought in the coffin. As we were putting his stiff corpse into the coffin, his head hung down. It looked like he was sleeping. In accordance with his father’s wishes, we brought the coffin to the place he had loved most in his life: the suburb of Lasugawa (Tokyo), to the home of the lawyer Fuse Tatsuji.” At around 10 p.m. some comrades gathered around his coffin and read his last letter: “Dear comrades! I shall die. I wish you health and strength. October 15, 8:25 p.m. Furuta Daijiro.” He wrote these words five minutes before his death. He mounted the scaffold holding a photograph of his dog and his cat in one hand, and a leaf from a tree in the other, which had been sent to him by his older brother. Even in his coffin his heart belonged to the beings and the things he loved most. Furuta awaited his death in the prison at Ichigaya. “Everything comes to an end. My conscience does not bother me. I am at peace,” he said, echoing the words of Fageshi [? ], the famous Japanese socialist novelist, a close friend of Furuta: “In these conditions, despite the pain and the anger, I can patiently and serenely await the sting of death.” Thus died an anarchist. On March 6, 1926, the trial of the “Guillotine” group of Osaka came to an end. Tetsu Nakahama was sentenced to death. Momishi and Kanaka were sentenced to life in prison. Uchida and three other comrades to 15 years; Zamako to 8; Ito and Ueno to 3 years. The execution of the poet Nakahama at the gallows took place secretly on April 15 in the Osaka prison. His works, however, “Black Bread” and the magnificent poem, “Mourning for My Late Comrade Furuta”, which moved me to tears, and his other poems, cannot match Wada’s book: From Prison. Before the martyrdom of Tetsu, the comrades Boku Retsu [better known as Pak Yol—Note from the Spanish edition] and Fumi Kaneko were sentenced to death. 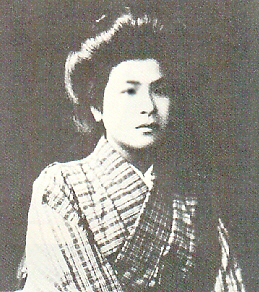 The so-called “Boku Affair” consisted in the following: some time before, a number of valiant Korean anarchists had been arrested—Boku Retsu, Kiu Shau-Kan and others, together with the Japanese woman comrade Fumi Kaneko—and accused of having conspired against the life of the emperor. The affair could also be called the “Korean Conspiracy”. Orders were issued by the government seeking a pretext to induce the infuriated mobs, soldiers and police to terrorize in the most horrible way imaginable several thousand Koreans, Chinese and revolutionaries. The propaganda and the incitement to genocide were the work of very high level figures in the government and the army during the great earthquake: “Beware,” they said, “the Koreans, the revolutionaries and the Chinese are going to attack us. Men: arm yourselves! Women and children: Flee!” On March 25, 1926, Boku and his companion Kaneko were sentenced to death for “conspiring to assassinate the Prince”. The accusation was undoubtedly false. Both behaved with great composure and serenity before the tribunal. Asked for his name, Boku responded: “I do not have a name!” When asked to give his place of birth, he said: “The world!” When asked about what family he came from, he claimed: “From the proletariat!” They knew they would be sentenced to death; and when the sentence was read to them, they smiled and hugged and kissed each other. “Long Live Anarchy!”, cried Kaneko. The audience was deeply moved. Tears flowed from many eyes.